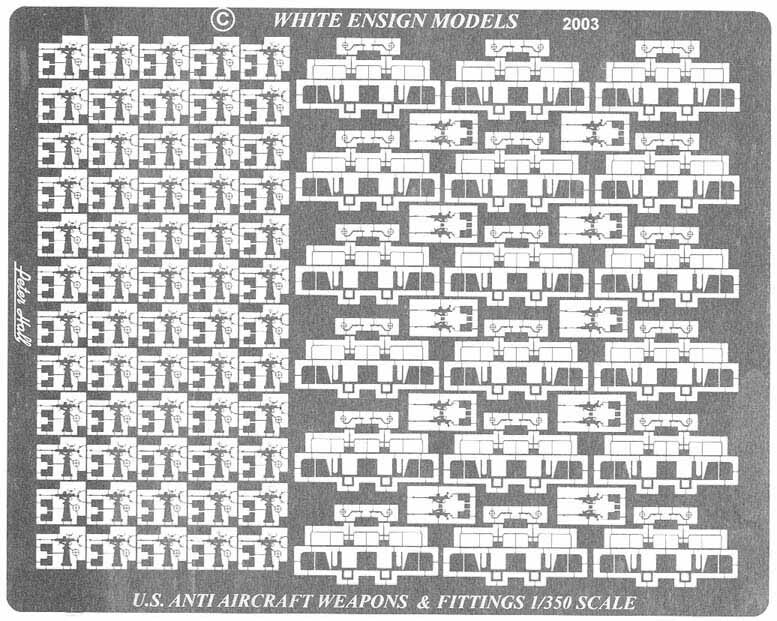 USN WW2 modelers will be happy to see White Ensign's new WW2 Naval Weapons Set. 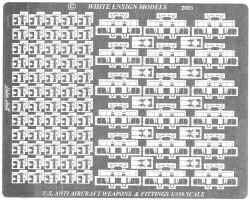 The set offers parts for 20mm singles and twins, as well as rails, sight bars, and splinter shields for 40mm Bofors. 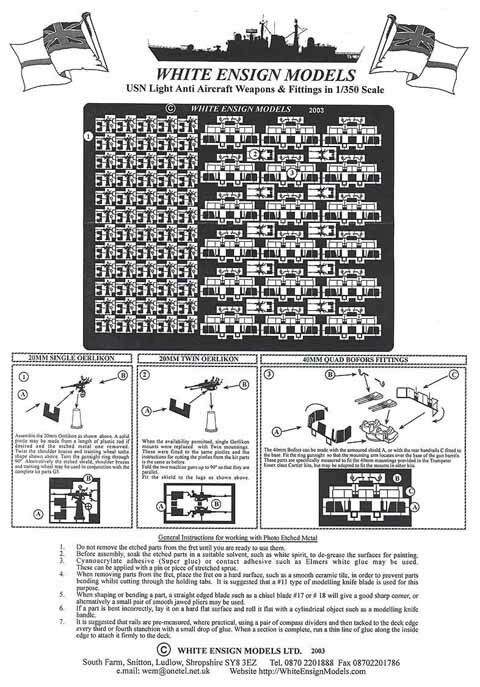 There's sufficient parts to handle most ships up to battleship size, and you're guaranteed to have parts left over for smaller projects. Instructions are single sheet, and self explanatory. Inexperienced modelers may find the parts fragile, so caution is recommended if you're not experienced in handling delicate brass parts. This set is available directly from White Ensign Models. Thank you to White Ensign Models for providing this sample for review.